Yamaha Motor Launches FZ25 to Suit Strong Customer Premium Orientation — Street Model for Expanding High Price Range of Indian Motorcycle Market — - News Releases | Yamaha Motor Co., Ltd.
IWATA, January 25, 2017—Yamaha Motor Co., Ltd. (Tokyo: 7272) announced today that it will launch the new FZ25 motorcycle onto the Indian market from February 2017. 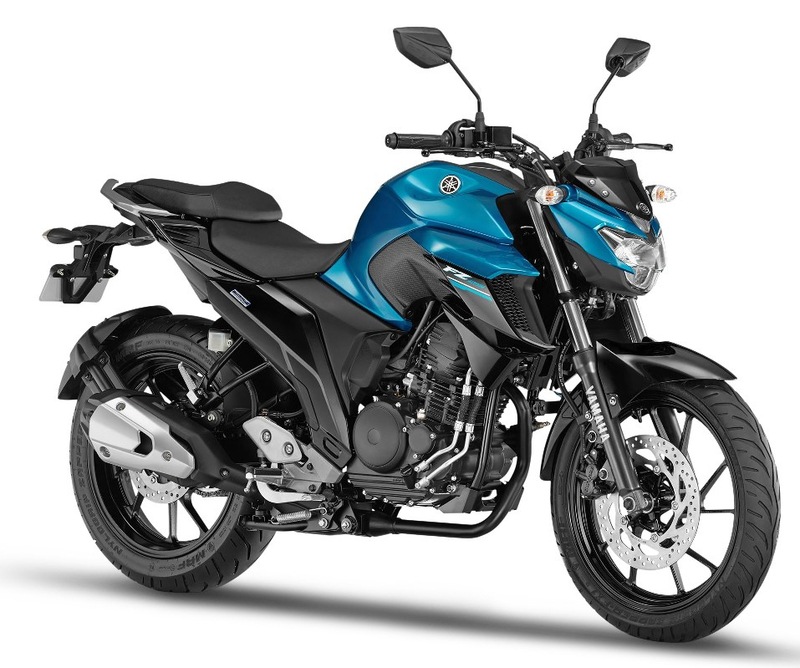 This street model features a new 250cc BLUE CORE engine, which delivers both riding enjoyment as well as excellent fuel efficiency and environmental performance. The main features of the FZ25 include 1) a high-torque fuel-injected single-cylinder engine providing excellent performance in practical street use, 2) a lightweight 148kg body enabling the joy of control as the rider intends, and 3) LED headlights and LCD instruments evoking a sense of innovation. The design emphasizes both the senses of mass forward layout and downforce, evoking the powerful muscles of an athlete. The Indian motorcycle market is the largest in the world, with an annual scope of 18 million units*1, of which 60% is 100cc-150cc motorcycles. Featuring the FZ (150cc) launched in 2008 and the FZ-FI (150cc) launched in 2014, the Yamaha Motor FZ series sits in a relatively high-priced category in the Indian market. However, it has won strong support from young customers, and these popular models have sold a total of more than 1.3 million units since their launch. With the trend towards rising income levels in recent years, there have been significant signs of expansion in the high price range of the Indian motorcycle market. With this background in mind, Yamaha Motor has launched the FZ25 to enrich its FZ series lineup, aiming for further sales expansion in the high-end category.